BBC, BBC-Radio and more recently sung live on Calendar for the second time and was interviewed for the prime time broadcast. 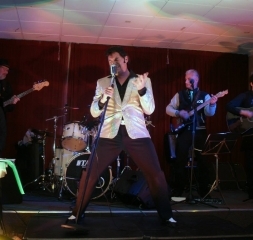 Jim has proved that he has the Star quality to rise to the top of the Elvis Tribute world. 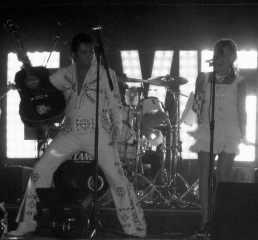 His shows have to be seen to be believed, with over 4000 hours of crowd pleasing entertainment. With over 35 stunning costumes, many imported from the USA designed by Gene Doucette; one of Elvis’s costume designers. Jim is the ultimate showman and he wows crowds time and time again with his fantastic tribute. Jim’s show is a tasteful and professional dedication to the King. 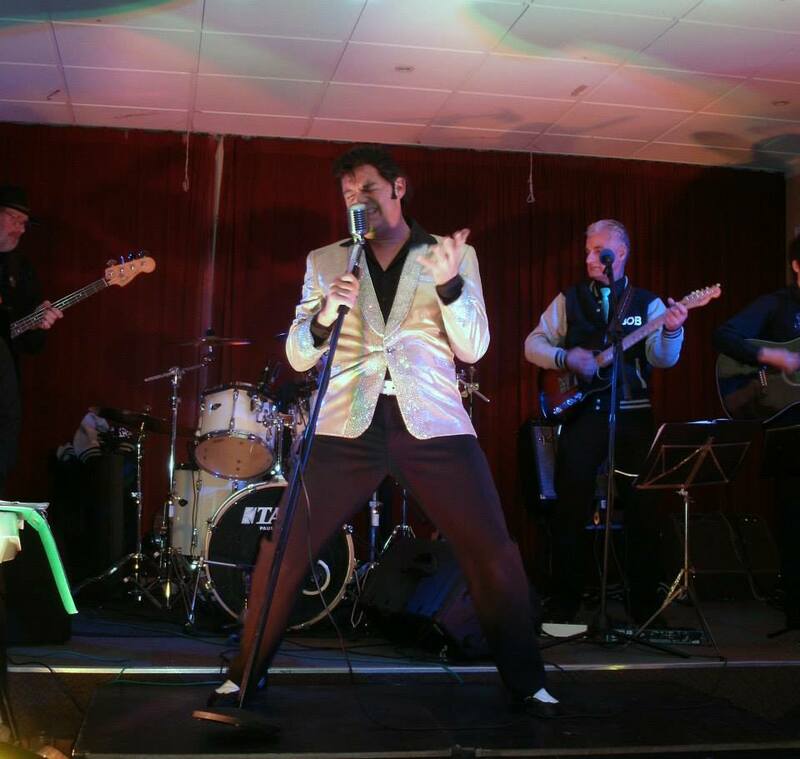 Jim and the band come self contained with their own lighting technician and sound engineer with an amazing array of coloured lights and smoke machines to give that colourful panache only associated with Elvis. The sound system comprises of state of the art equipment that can cope with any size venue. 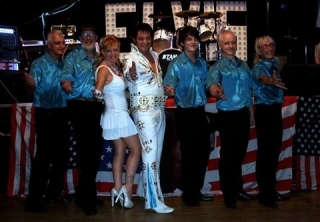 Jim and the band perform songs from the early years in the 50′s to the great Vegas years with multiple outfit changes throughout the show and as the King himself did Jim is often known to bestow genuine silk scarves to a select few.